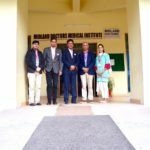 News has arrived of a successful collaboration between Midland Doctors Association UK and the Pakistan Paediatric Association (PPA). Three vaccination camps were held on the 26th of September at town the of Bin Qasim and 960 2-12 year old children were vaccinated against typhoid. 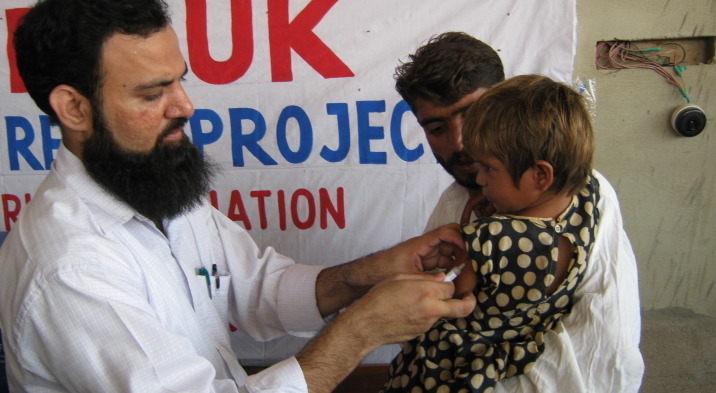 The cost of the vaccines were met by Midland Doctor Association UK, the cost of transportation of the vaccines was met by the vaccine suppliers whilst the cost of leading local paediatricians who oversaw the vital cold chain and organised, ran and delivered the vaccination programme were met by the PPA. The vaccination camps were facilitated by the Department of Health and the local Bin Qasim Health Department. 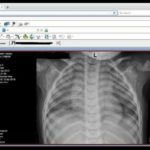 This is an exceptionally effective way of Midland Doctors deploying it’s resources. 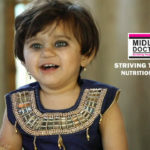 By using the extensive local contacts that the Midland Doctors executive has we were able to vaccinate these children at a fraction of the cost that another NGO would have needed to use as they would have had to transport and supply the vaccinations whilst overseeing the cold chain storage as well as providing the people actually running the camps and delivering the vaccinations. This pilot project was felt to be highly effective by the Midland Doctors Association who have agreed to vaccinate a further 1170 more children with the PPA. 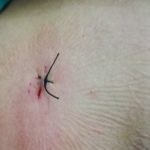 In addition Midland Doctors Association has agreed to extend it’s collaboration with the PPA who will supply the manpower and on the ground organisation whilst Midland Doctors Association will source and fund essential materials. 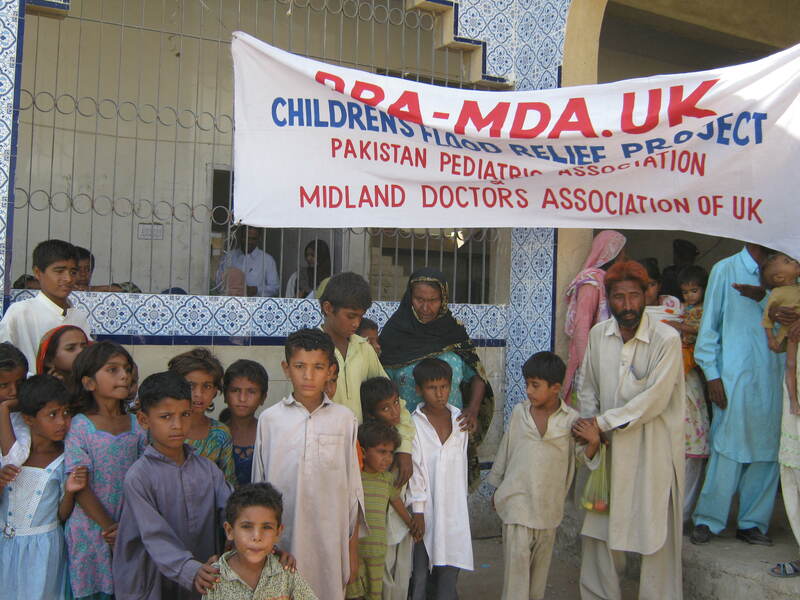 To this end Midland Doctors has has agreed Rs 5 million to provide medicines and nutrition for flood affected children that will be used in Midland Doctors Association UK/ PPA collaborations. 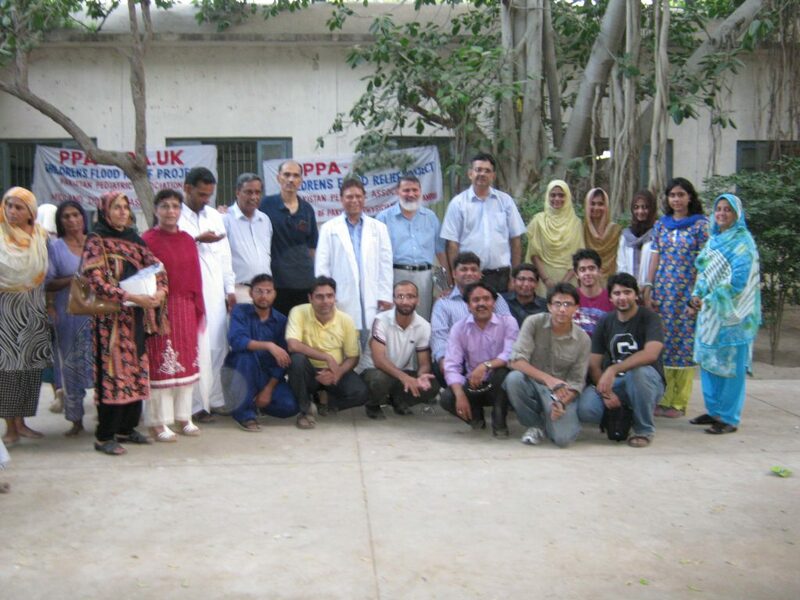 The Association of Pakistani Pediatricians of America (APPNA) is looking to do a similar collaboration with the PPA and are aiming to vaccinate 8000 children.